Forming a key pillar of the marine food web, plankton is an essential and fascinating element of marine eco-systems. This course will introduce aspects of the biology and ecology of both zooplankton and phytoplankton, and include practical identification sessions of live plankton. There will also be a plankton sampling session from our research vessel (weather permitting) in the Firth of Clyde. If you are a Member of the MBA or the MCS you can enjoy a 10% discount on this course. You will be asked for proof of membership before we take the money. After completing his studies at the University of Manchester and subsequently at King’s College London, Tom began working in 1989 as a research assistant at the University Marine Biological Station on the Isle of Cumbrae, now reincarnated and rejuvenated as the Field Studies Council (Millport) Centre. Involvement in a wide variety of research projects and programmes, in subjects including aquaculture, fisheries management, power station antifouling strategies, seabed mapping and organism ecology and physiology has given him a broad knowledge of a wide range of marine biological techniques and issues. Tom’s long involvement with ship-borne operations has continued at FSC Millport, now with RV Actinia, an 11m catamaran purpose-built for marine teaching. 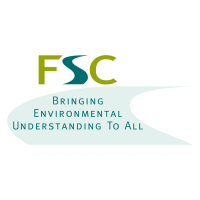 To book a place on this course, please visit the FSC website or contact the centre directly on 01475 530 581. Please mention ConservationJobs.co.uk when enrolling in this Course!